Having beautiful lampshade will make your house’s interior design more attractive. Choosing the right lampshade will create a huge difference. The unique elements of the lampshade will add the versatility. Furthermore, the right lampshade will complement and warm the architectural and decorating options. 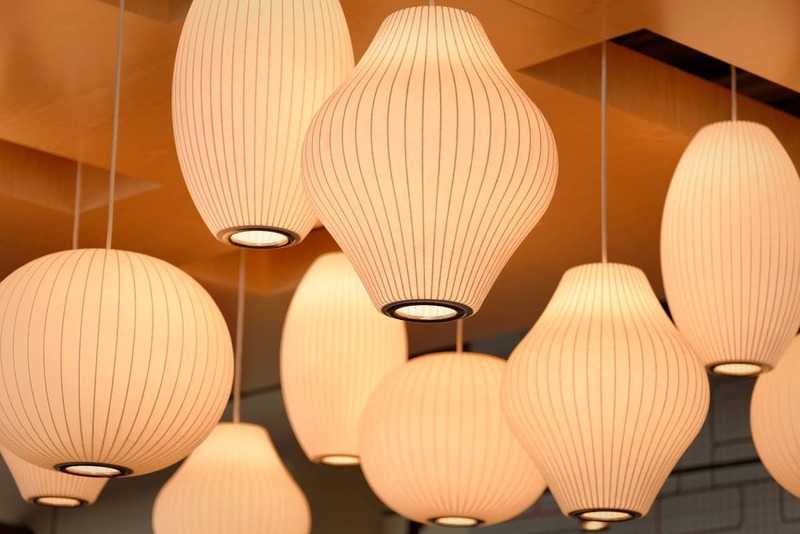 The lampshades come with various types and different size, material, texture, color, and translucency. Wonder what do the types of lampshades look like? Here is the explanation of 17 types of lampshades. One of the lampshade styles you may consider is the rawhide lampshade. As the rawhide as the lampshade material, it gives years of use. This lampshade also features a bar from one side to the top with the hole in the center. The hole in the center is used for the harp attachment. The top of the lamp finial attaches to the lampshade. Give a coolie lampshade a try! This lampshade accentuates the awesome symmetry. Its unique lampshade will attract the attention to create the perfect lampshade style. With the right size and material, you can complement and warm your living room interior design. Another type of lampshade is empire lamp shade. This lampshade shape emphasizes the classic vibe to your room interior design. This lampshade has a cone look with the top cut off. This lampshade features different shapes, sizes, and materials. This lampshade features the straight sides and about 50-80% top to the bottom dimension. The look of this shade is hardback because it is made of using the hard inner shell. Another type of lampshade is an oval lamp shade. This lampshade shape is wider than the front-to-back shade. The width and length of the oval lampshade will have a coordinating trim. The coordinating trim will cover from top to bottom. The center of the shade will pass in the form of a straight line. Coming with coordinating trim at the top and bottom of the shade, the rectangular lampshade is perfect decoration either to your room or living room. It has the spider fitting, which comes across the top of the shade. It also secures the base of finial and harp. One of the lampshade shapes is a square lampshade. This lampshade is completed with top, ribs, and bottom self-trim and a spider fitting. It also features a harp, finial, and spider fitter. Give this lampshade a try! It will boost the classy look of your interior design. One of the types of the lampshade is a bell lamp shade. This type of lampshade includes the harp and finial. It is also equipped with the spider fitting. The bell lampshade shapes like a liberty bell. Similar shape like the empire lampshade, the bottom of the bell lamp shade is wider. This lampshade mostly gives the soft shade. It happens because the material emphasizes the curve shape around the frame. Want to have the lampshade like a chandelier look? Use the clip-on fitter lampshade. The clip on the top of this type of lampshade is mostly used for chandeliers. The clip-on-fitter are assembled into the lampshade. The shape of the built-in clip will depend on the clip size. Another type of lampshade is spider fitter or aka the spider lampshade. This is a common type of lampshade. This style is suitable if you have the harp look lamp. The shade of a spider fitter will be on the top of harp. A finial will secure the top of harp. This spider fitter will be integrated into the lampshade. No idea of choosing the unique lampshade? You probably need to pay attention the slip UNO fitter lampshade. The UNO fitter is attached to the lampshade. The type of the slip is placed on the socket. This slip in this lampshade is also placed by the bulb. The threaded Uno fitter lampshade creates the classic style. Uno fitter is attached into the lampshade. The down-bridge lamp is suitable for this lampshade. This lampshade is completed with a screw thread to make the installation easier. You can install the threaded Uno fitter lampshade from the higher place to the lower facing bulb. Another type of lampshade is the reflector bowl fitter lampshade. This type of lampshade features a similar shape to spider fitter one. In contrast, this lampshade has some grooves in the spider’s arms. The function of the spider’s arm is to protect the position of the lampshade on the top of a reflector bowl. It is also secured by a finial. Looking for a different lampshade? It is recommended to use a hurricane or chimney fitter lampshade. This typical lampshade has unique features. The chimney fitter lampshade features a “chimney” look. You can find the chimney fitter are placed on a lamp base. This lampshade extends higher from the socket near the bulb. Another shape of lampshade for the perfect touch in your room is hexagon lampshade. This typical shape of the lampshade features the fringe trim at the top and the vintage traditional washer fitter. The fitter is mostly used as the clip-on lampshade. When it comes to upside down lampshade, what comes into your mind? This lampshade gives the unique vibe as the light-diffuser. The lampshade is flipped on its head. The light of the bulb from this lampshade will turn into a pendant light. One of the types of lampshades is cut corner lampshade. This cut corner lampshade comes with square shades. The square shades are completed with the 4 corners which cut at an angle. This shade technically comes with an 8-sided shade. The corners of the shade are lopped off to a very short length. Similar to threaded uno fitter lampshade, euro fitter lampshade also attaches on the socket. The position of this lampshade is placed by the light bulb. The lamp finial protects this lampshade. In conclusion, there are about 17 types of lampshades available to give a huge impact on your house interior design. Find out more details about each lampshade, either the shape, material, or size, this lampshade will add an elegant touch to your house interior design.